Subjective tinnitus is not a disease, but a symptom and the many forms of tinnitus probably have different pathophysiology. For a long time, it was believed that tinnitus arose from the ear and that the anatomical location of the physiological abnormalities which cause tinnitus was the ear. However, it was later understood that most forms of tinnitus were caused by the expression of neural plasticity. The fact that most forms of tinnitus are disorders of the nervous system puts emphasis on neuroscience for treatment of tinnitus. 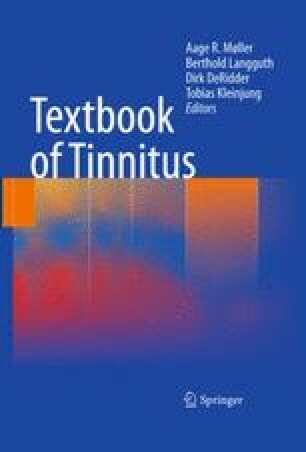 This chapter is focused on the treatment of tinnitus and how neurologists can be involved in the evaluation and diagnosis of patients with tinnitus.